I have written this post to explain why President Obama is so desperate to pass health care legislation, seemingly regardless of the cost to the Democratic Party. 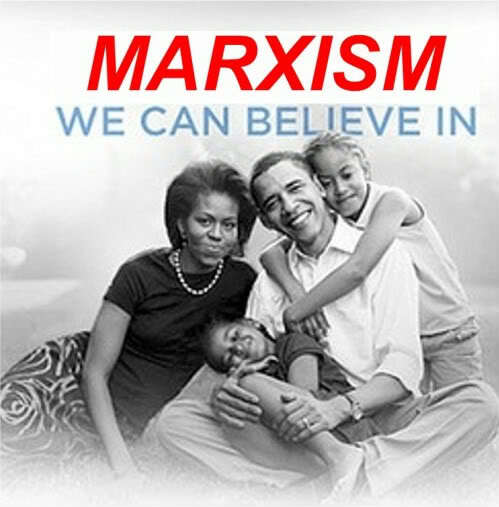 The reality is that President Obama owes his success and his hold on power more to three Marxist groups than he does to the Democrats. The three organizations, Communist Party USA, Committees of Correspondence for Democracy and Socialism and Democratic Socialists of America, all worked with Barack Obama for years and helped get him elected. All three organizations have campaigned hard for "socialized" or "Single Payer" health care. They want Obama to pass a Bill, any Bill, so that they can then ratchet up the pressure until the government has complete control of the health sector. Why? because these people figure that if government controls health care, it will lock socially conservative American workers into supporting their Democratic Party allies indefinitely. Britain after WW2 is their model. While Winston Churchill was the hero of the hour, in 1946 he was dumped in a landslide in favor of Labour Party leader Clement Attlee, on the promise of a massively increased Welfare State and a socialized National Health Service. A “single payer” national health system – known as “socialized medicine” in the rest of the developed world – should be an essential part of the change that the core constituencies which elected Obama desperately need. Britain serves as an important political lesson for strategists. After the Labor Party established the National Health Service after World War II, supposedly conservative workers and low-income people under religious and other influences who tended to support the Conservatives were much more likely to vote for the Labor Party when health care, social welfare, education and pro-working class policies were enacted by labor-supported governments. Some Christmas Reading for Your Senators, Obama, Young, Conyers and Socialized Healthcare. If you believe the above information is accurate and valuable, please link to the articles on your blog or website. Please circulate them to your friends colleagues and elected representatives. From a grateful Kiwi friend of the United States of America. Thanks Trevor... Pray for us, this is a big weekend, but it is only a battle *a big one yes, but there is a whole war to fight.. we march on. Never underestimate the will of the American people! WE THE PEOPLE won't have freedom stolen without one hell of a fight. We surround them. We will prevail. Christchurch is gorgeous!! Thanks for the links. The single-payer bill is in Congress now sponsored by none other than Alan Grayson (D-Fl). It has 70+ cosponsors; ALL Progressive Caucus members. The bill is one they will try to Amend in the reconciliation bill. Kucinich was just head faking about not voting for the Healthcare bill. Thanks you for being on top of things. I am posting this link on my blog with a link back! If the insurance companies win, youth and students will lose. Republicans in Congress and right wing talking heads will stop at nothing from preventing real healthcare reform from happening. They are spending millions of dollars a day on lobbying and advertising to make sure that working people are unable to get the care they need. They are working to spread lies that Obama's plan would create death panels and pull the plug on grandma. The fact is that death panels exist- they are headed by the insurance industry and their representatives in Congress. Every year nearly 45,000 people die because they lack basic health insurance. Over half of people aged 18-24 went without health insurance for a period of time in the last year. 3. Sign up for other local events through Healthcare for America Now! The Young Communist League USA, youth-wing of the Communist Party USA. mah29001 - you are way off target. Noone "dies" because they don't have health insurance. In 1954 the U. S. House of Representatives investigated why Tax Free Foundations enjoy a tax exemption not available to the common citizen. It was reported to it that the reason for this is so that these Foundations may use their grant making powers to alter ("CHANGE")life in the U. S. so that it could be merged with the Soviet Union. This is precisely what has been happening here for half a century. The USSR Constitution states that: the citizen of the USSR (even those living in its N. American colony) is entitled to FREE MEDICAL SERVICE. This is the intended goal of health care reform. If anyone still thinks communism is a good thing to trade freedom for, read "The Black Book of Communism" or talk to someone who managed to escape alive from Cuba. Communism is the most ruthless institutionalized mass murder machine ever devised. It is responsible for over 100 million documented murders. Our own govt. has estimated that it has caused more deaths DURING PEACETIME than all the wars in history COMBINED. I'd rather keep my freedom. Thank-You for this great post. the new Health Care Reform Bill can be used to help care for the damage with externally worn pampers! Thanks, Trevor. I try to direct as much traffic to your site as I can. You continue to be a valuable resource for us freedom loving individuals. Keep up the great work. Just because a man was raised and mentored by marxist ideologues, preferred to hang-out with radical liberals, marxist professors, anarchists, and communist students while at college...and then formed "coalitions of power" with "social justice" groups and labor union thugs as a "community organizer"...and spent 20 years attending a marxist "Black Liberation Theology" church...and then (as a US Senator) introduced legislation that would force American taxpayers to give billions of dollars to fight "global poverty"....and he promised "something" to every liberal and radical leftist group in the country when campaigning for President....and then, AFTER he was elected, surrounded himself with the most radical leftist advisers he could find...and then set about to move America into Euro-Socialism---with his radical "progressive" policies---DOES NOT mean that Obama is an unAmerican, Statist-Socialist. All of Obama's supporters have said as much. I reposted this on my websites too!